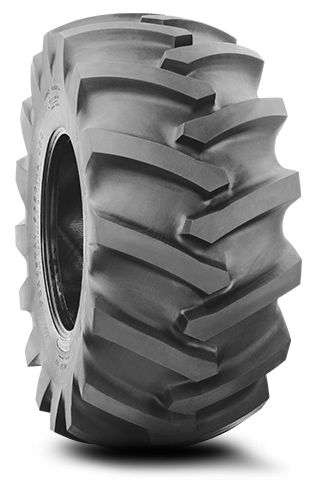 The Forestry Special Severe Service Tire is designed to meet the demands of higher-horsepower machines and heavier loads. Its 23 degree tread bars are 25% deeper and up to 42% thicker to protect against cuts, snags, and tears when compared to Firestone Field and Road. Its heavy duty bead and rim protector helps to keep out debris. For pricing and availability, please call (207) 370-8473.